On Computers » A SQUARE DEAL? 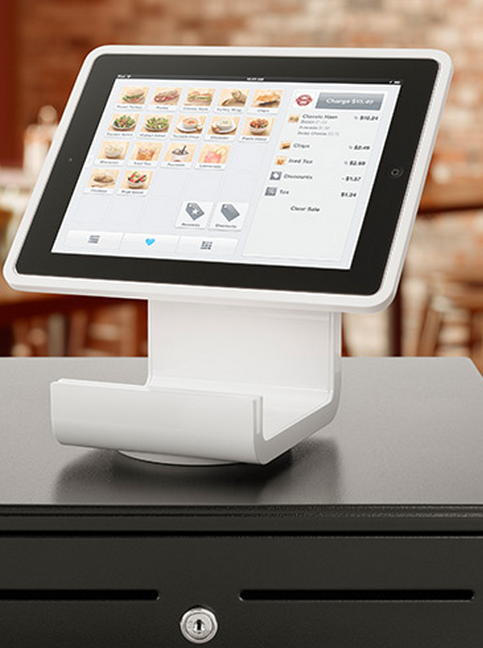 Merchants can lock the iPad to the stand and secure the stand to a counter. 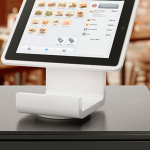 The stand can connect to a cash drawer, barcode scanner, and receipt printer. The merchant pays 2.75 percent of the sale and can build a database of what items sell best and when. Two other major players in remote and mobile payment systems are PayPal and Intuit GoPayment. A small point in favor of the “Square” that started this little diatribe is that installing their “Square Wallet” app will show the customer’s picture and credit card number if the merchant just types their name. Starbucks has this system, but for it to work, both parties, merchant and customer, have to have the same app installed. Users say it works but sometimes the barista has trouble figuring it out. There is a ton of information on this new way to charge credit card payments and if you are a merchant it is worth doing a web search to see which system makes the most sense for you. Some charge per transaction, some have monthly fees, some like Square, let you pick the payment method. PayPal’s card reader accepts checks and email invoices.